Winter may not seem like the ideal time to visit the wilds of a national park, but really there’s no bad time to enjoy the beauty of America’s public lands. Some national parks situated in temperate, even tropical climates are better to visit in winter, free from the scalding heat of summer. If you’re a snow bunny, you’ll enjoy relative quiet in some of the larger parks that are visited en masse during warmer months. No matter your preference, you’ve got plenty of choices. 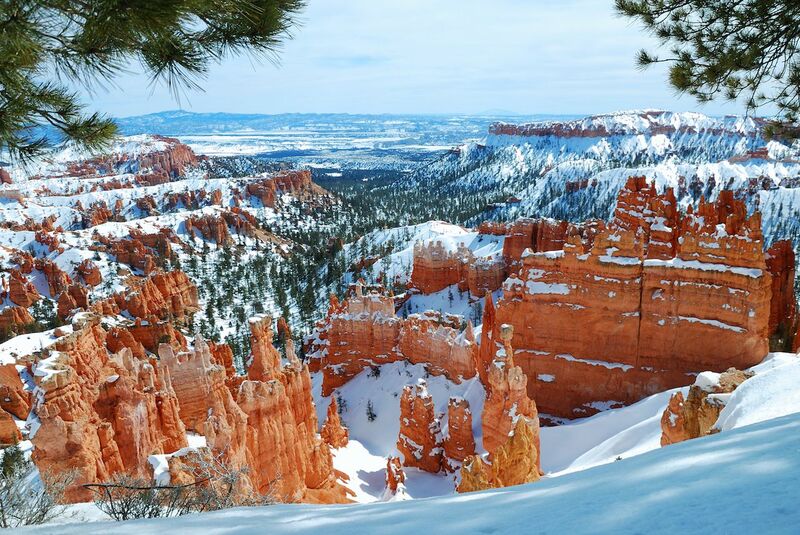 From Hawaii to Utah, here are the best national parks to visit this winter. 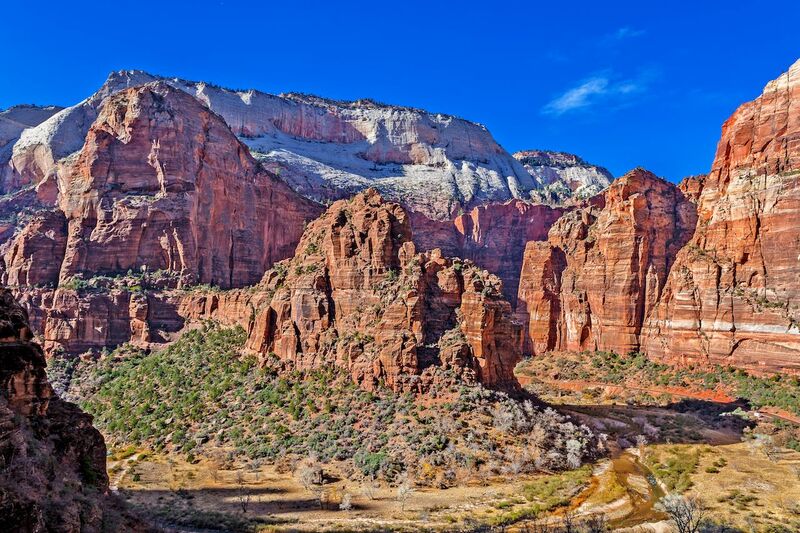 Winter brings a lull in the crowds visiting this popular southern Utah park. Running along a high plateau at the top of Grand Staircase, a series of high-desert mesas, Bryce Canyon’s high altitude (8,000 to 9,000 feet) almost guarantees light, dry snow and crisp, clean air. You can slide through the park’s famous red rock hoodoos — the largest concentration on Earth — on cross-country skis or snowshoes. If you don’t have snowshoes of your own, the park offers them for free if you join rangers for a guided hike. From November to March, the park’s full moon snowshoe hike is an excellent option. Rangers guide you through the deep snow to locations offering the best views of the full moon filling up the dark sky, with the hoodoos looking eerie in the moonlight. A limited number of campgrounds and RV spots within the park are available during winter; you can reserve at the Visitor’s Center. Wildlife watching is one of the most popular activities here, and you can expect to see manatees, dolphins, crocodiles, alligators, turtles, and herons to name a few. You can camp year-round throughout the park and in the backcountry on the 99-mile Wilderness Waterway. 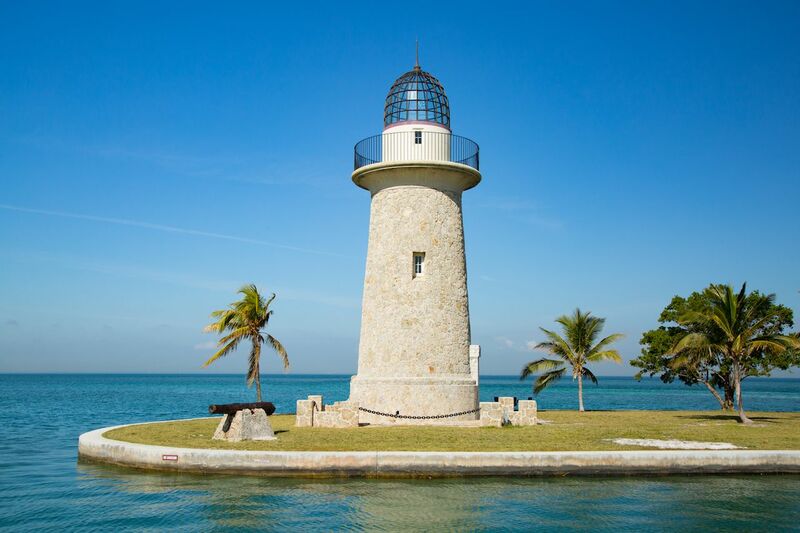 Just a few miles to the east of the Everglades sits Biscayne National Park, which is a great spot for water lovers. Its beaches, blue waters, and coral reefs can be explored by foot, boat, and while snorkeling. These are two great winter escapes in one place. Famed naturalist John Muir called this jewel of the national park system “by far the grandest of all the special temples of Nature I was ever permitted to enter.” First protected in 1864, Yosemite National Park is best known for its waterfalls, hiking, rock climbing, and scenic vistas made famous by photographers such as Ansel Adams. Though winter isn’t the greatest time to scale some of Yosemite’s better-known attractions, Half Dome or El Capitan, it is an ideal time to enjoy the beauty of the park without the other thing it’s known for: crowds. While some roads close in winter, Glacier Point Road is among those that stay open. Five miles in, it closes to cars at Badger Pass and transforms into the Yosemite Ski & Snowboard Area. Yosemite Valley also remains open, allowing hikers and snowshoers to experience iconic sights such as Bridalveil Falls, Mirror Lake, and Lower Yosemite Falls. Another popular snowshoeing option is through one of the park’s ancient sequoia groves. Lodging is also much easier to find in and around the park in winter. You’re likely to find comfortable digs in the park’s grand Majestic Yosemite Lodge, or if you’re into roughing it, you can bed down at one of the four campgrounds open year-round. 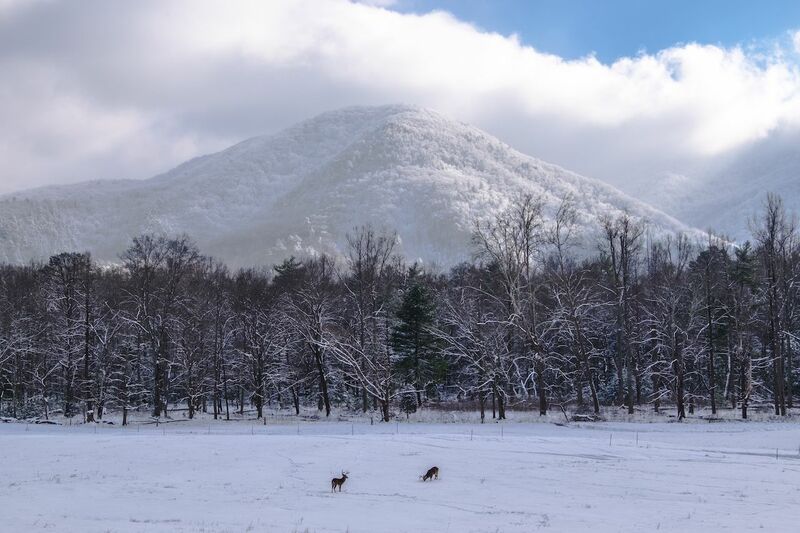 As rich in history as it is wildlife, Great Smoky Mountains Park is a perfect place to while away short winter days. Thanks to its temperate location, snuggled in the rolling hills shared by Tennessee and North Carolina, the park has year-round wildflowers and rich wildlife-viewing opportunities. You might spot black bears, white-tailed deer, coyotes, groundhogs, wild turkeys, raccoons, or skunks — or you can fish in the rivers, streams, and lakes. Five drive-in horse camps provide access to the 550 miles of hiking trails open to horses. History fans will be awed by the park’s more than 150 historic cemeteries, and a walk amongst the headstones provides special insight into the communities that once called the area home. You can camp year-round with Cades Cove being one of the most popular campgrounds. If you like playing in the snow, this is the spot to be in winter. 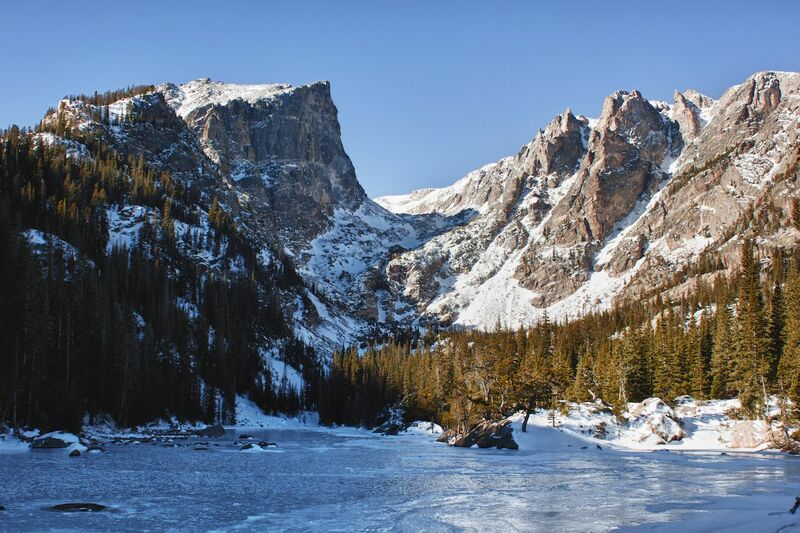 Rocky Mountain National Park spans 415 square miles of spectacular mountain environments — from subalpine to alpine. You can cross-country ski throughout the park, as well as snowshoe. Beginning in January, park rangers host regular snowshoe tours, which are a great way to get familiar with the craggy surroundings. Sledding and ice skating are popular at Hidden Valley, a former ski area. Rocky Mountain National Park is also one of the country’s top wildlife viewing destinations, and that’s the number one rated activity by a majority of the park’s 3,000,000 annual visitors. The biggest draw is its big mammals, and in winter, you can spot massive herds of elk, bighorn sheep, and mule deer with a few moose sprinkled in. While Moraine Park Campground is open for overnights, a more comfortable option may be heading into one of the nearby towns of Estes Park or Grand Lake for a warm bed and a famous Colorado microbrew in front of a roaring fire. One of the largest national parks in the continental US, Big Bend is also one of the most remote. The closest large city, El Paso, is a 5.5-hour drive, meaning that crowds in the park aren’t much of a problem. What can be an issue, though, is the heat, which is why visiting Big Bend in winter is ideal. Temperatures in December average 70 degrees during the day and 50 degrees at night. It’s dream camping weather, and though the park has more than 200 campsites to choose from, choice locations can fill up quickly. Big Bend has more types of birds, bats and cacti than any other national park, and there are countless hiking options to enjoy them within its 801,163 acres. Winter is also a good time to float down the Rio Grande by canoe, which can be done independently or with a professional guide service. If you’ve got a passport on hand, a $5 row boat ride ferries folks across the river to the Mexican town of Boquillas. It’s a prime place to spend a winter’s day eating hot enchiladas, drinking a cold margarita, and maybe taking a warming dip in the town’s funky hot springs. 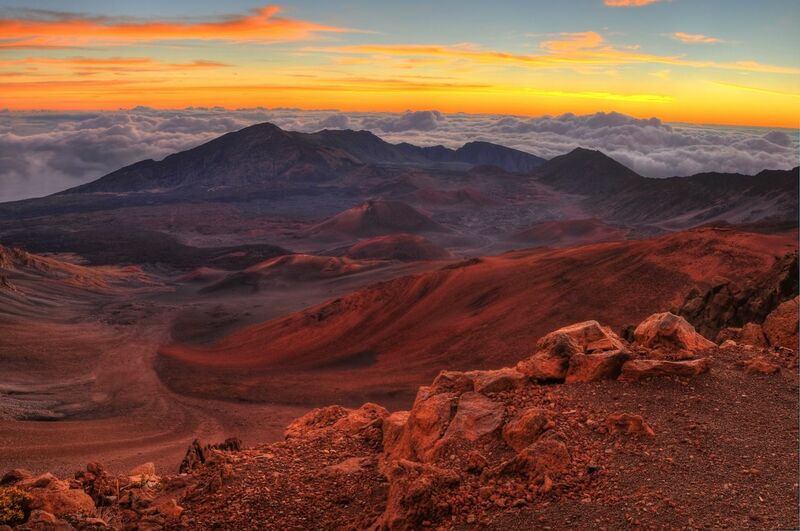 For those heading to the islands, a visit to Maui’s Haleakala National Park is worth the effort to get there. Meaning “house of the sun” in Hawaiian, Haleakala is actually a huge domed volcano that covers three-quarters of the island. Visiting this national park is among the most popular things to do to on Maui, especially in time to watch the sunrise from atop the volcano. Mark Twain described sunrise from atop Haleakala as “the most sublime spectacle I have ever witnessed.” Apparently, many agree. If you want to jostle with the crowds for the perfect photo of the dawning of a new day, book with a local tour company or be prepared to obtain a permit in advance as parking space at 10,023 feet is limited. Another option is to head up the mountain to experience a famed Hawaiian sunset. Permits are not needed, and it allows for a day of exploring the park’s other beautiful sights, from otherworldly deserts of rock to lush Hawaiian rainforest. You’ll spot nenes here, Hawaii’s state bird and an endangered species. Haleakala National Park actually protects more endangered species than any other park in the National Park Service. You can camp or stay in cabins in the park and, for complete immersion, it’s a great thing to do in the winter. Actor Will Rogers once called Carlsbad Caverns “the Grand Canyon with a roof over it.” It’s an apt descriptor, and the park attracts nearly 500,000 people a year — most of them in the summer. Winter is the perfect time to skirt the crowds and quietly appreciate the beauty of this unusual spot. Over 119 caves are hidden beneath the Chihuahuan Desert, all formed when sulfuric acid dissolved the limestone remnants of an ancient fossil reef. 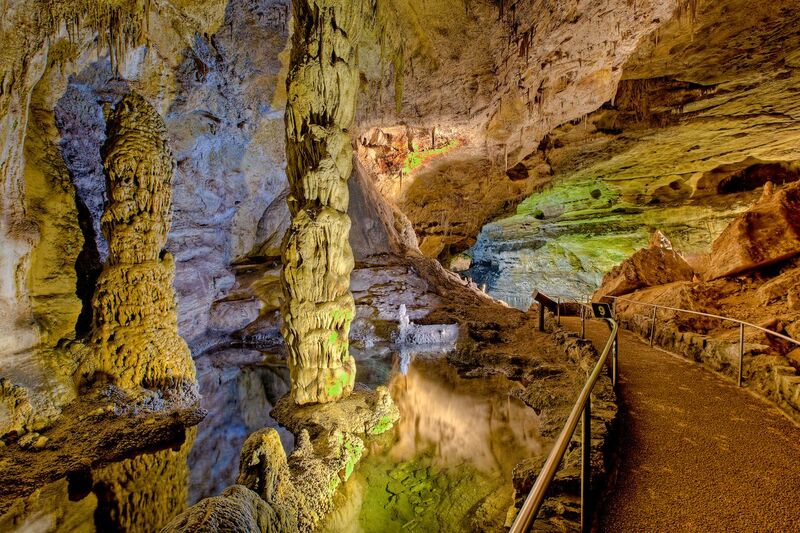 If you arrive just as the park opens, you may find yourself the only one meandering down the 1.25-mile, 750-foot-deep Natural Entrance Trail into the mouth of the caverns. Inside, the Big Room is an alien-looking limestone chamber almost 4,000-feet long, 625-feet wide, and 255-feet high — the fifth-largest chamber in North America. Above ground, the desert is alive with flowering cacti, wildlife, and rocky canyons prime for hiking. You can’t camp at Carlsbad Caverns, but if you’re adventurous, you can boondock on neighboring Bureau of Land Management land. For more comfort, the town of Carlsbad has plenty of hotels, and year-round camping is available at “sister park” Guadalupe Mountains National Park, which is 40 minutes away in scenic west Texas. Hot Springs, Arkansas, has been called the “Calistoga of the South,” and it’s easy to understand why: The entire north end of the city is a national park built around hot springs. 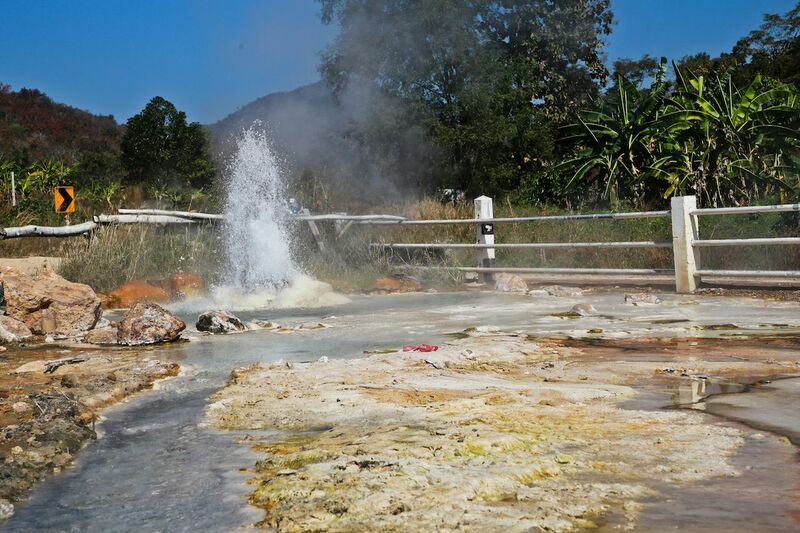 For years, people have been flocking to this town to take advantage of the much-touted health benefits of its bubbling thermal mineral waters. Winter is an ideal time to soak in the warmth. Hot Springs National Park’s visitor center is located in the historic, stained-glass-and-marble Fordyce Bathhouse, which sits on the city’s Bathhouse Row. Visitors can opt for a hot soak in a traditional bath at the Buckstaff Bathhouse, which has been in business since 1912 or opt for a more modern spa experience at Quapaw Baths and Spa. After you get thoroughly pruned, walk around the city to check out the stylish Art Deco buildings. If you’re looking for more of a challenge, miles of trails run through the park. The longest and most popular path is the Sunset Trail, which covers more than 10 miles and crosses the varied terrain of the Ouachita Mountains. Since Hot Springs National Park is located in an actual city, you’ll find plenty of places to rest your heads. If you want to sleep under the stars, Gulpha Gorge Campground is open year-round.